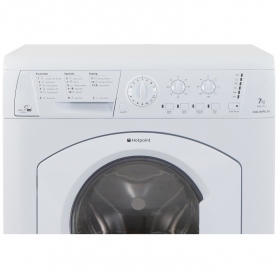 This outstanding washer dryer from Hotpoint combines all the functionality of a washing machine and tumble dryer in a single unit. 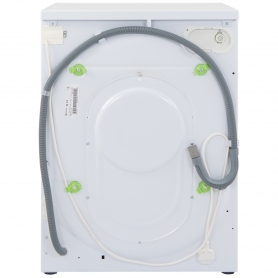 The WDL754PUK is an efficient way to get your household laundry done in a flash. Having to carry your wet clothes from your washing machine to your tumble dryer can be a real pain, especially if they’re in separate rooms. A washer dryer removes this hassle and saves space in your home. 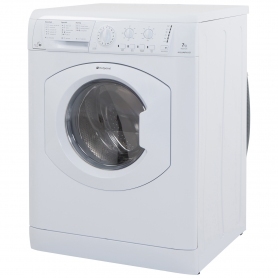 The capacity of the WDL754PUK for a wash programme is an impressive 7kg, while the drying cycle holds up to 5kg. 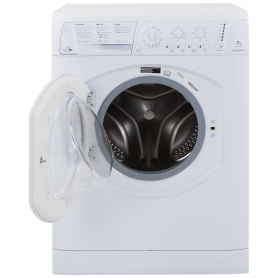 An appliance of this size is perfect for couples and small to average size families. Despite its generous capacity, the machine doesn’t take up much space, making it ideal for smaller kitchens. 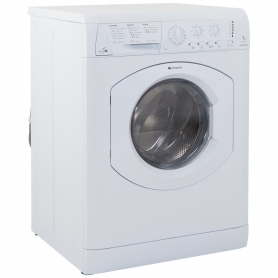 The washer’s B grade energy rating means that, as well as being environmentally friendly, it won’t cost a fortune to run. 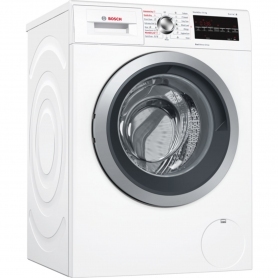 It can spin at speeds up to 1,400 RPM and comes with a Washing Performance Class Grade A. This will ensure that all your laundry is always perfectly clean and fresh. 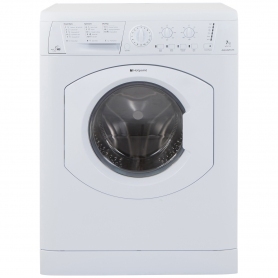 Our skilled technicians can install your new Hotpoint washer dryer on request. Why not order this space saving appliance from Euronics today?